Home / Buy / Hypnosis Programs / All 6 Virtual Reality Hypnosis Videos! All 6 Virtual Reality Hypnosis Videos! The key elements in any successful hypnotherapy session are relaxation, emotional engagement, positive suggestion, as well as a sense of safety and security. These factors must be present for hypnotherapy patients to receive the full benefits of hypnosis in treating any issue that stems from the mind, whether it is a negative behavior, a compulsion, distressing thoughts, or habits. However, for many people, their fears and anxieties often hold them back from experiencing the full range of benefits offered by hypnosis in a traditional hypnotherapy setting. This is where Virtual Reality for hypnosis, an approach pioneered by leading hypnotherapist Dr. Steve G. Jones, comes in. Virtual reality is quickly emerging as one of the most exciting technological advancements over the last few years. Virtual reality and its “cousin” Augmented Reality are changing the way people interact with all kinds of electronic devices, from phones, televisions, computers, and gaming consoles, as well as all kinds of digital media, particularly videos and images. Virtual reality is a computer-generated environment that allows you to experience a virtual environment. As the user, you get to wear a virtual reality (VR) headset over your head and eyes, obstructing your view of whatever space you are physically occupying. The VR headset feeds images to your eyes through two lenses that take up your entire field of vision. Through Virtual Reality, you can experience any kind of virtual environment, whether it is being in the middle of Times Square, walking on a beach in Bali, or experiencing a movie or video game as if you were a part of the actual environment. Although Virtual Reality technology is by no means new—in fact, it has been around for decades—it has seen a surge in renewed interest and popularity over the last few years, with major breakthroughs happening in the world of consumer electronics, where dedicated VR headsets and even regular smartphones are now capable of providing the full VR experience. But would you believe that virtual reality environments have also encroached on the way health professionals treat mental disorders? Indeed, VR is fast turning into a game changer, at least in the way we treat health problems. This groundbreaking technology is now being used to treat a host of mental and emotional issues, particularly anxieties and phobias. Why Virtual Reality for Hypnosis? The same benefits VR offers for treating mental disorders also apply in many ways to the field of hypnosis. As mentioned earlier, many patients suffer from serious fears and anxieties, which as a result, prevent them from receiving the full hypnotherapy experience. Virtual Reality can aid in reducing this anxiety by creating a believable simulation for the therapeutic process to happen effectively. Think of a beautiful stretch of white beach in the Pacific, stunning views of the Sahara Desert, or even just a stimulating but soothing kaleidoscope of colors. These virtual environments will allow you to better absorb the suggestions of your hypnotherapist and make positive changes in your life. Virtual reality hypnosis can be a powerful way to treat depression, anxiety, and low self-esteem. When addressing these issues, the form of treatment is especially crucial. While counseling is by far the most common approach, many patients tend to make powerful changes by being exposed to the very situations that cause them distress. With VR, your hypnotherapist can walk you through your emotions and thoughts when confronted by these scenarios, helping you think, feel, and respond in a more constructive manner. Although progress is by no means instantaneous, it can happen much faster than regular counseling and exploration of your subconscious mind. In essence, Virtual Reality Hypnotherapy is an opportunity to “get out” of the consulting room and into a virtual world, with your hypnotherapist acting as a personal trainer or motivational coach. And it all happens without having to leave the actual office. Cost savings and appeal of virtual reality aside, VR for hypnosis has been observed time and time again to generate positive results. How Exactly Does Virtual Reality Hypnosis Help Resolve My Phobias and Anxieties? It is no secret that everyone has their share of fears and anxieties. For some people, these fears are mild in nature—the kind of distress you may have felt as a nervous flier, when afraid of making public speeches, or even when talking to new people. However, having a fear and living in constant fear are two very different things—the latter has a direct negative impact on your quality of life. And the problem is more common than you might think. According to the National Institute of Mental Health, around 8.7 million Americans suffer from a legitimate phobia. Of this number, 21.9 percent, and 1.9 percent of the country’s adult population suffer from a severe phobia that is debilitating enough to cause panic attacks, hyperventilation, nausea, cold sweats, and even symptoms that resemble a fever. Oftentimes, the only way to resolve these phobias is through desensitization—the gradual exposure of phobia sufferers to the things and situations that trigger their attacks. And this is where virtual reality can come in. Virtual Reality Hypnosis can be an excellent way for patients to address their phobias and anxiety-related problems. Through VR, patients can experience a simulation of the environment or objects that trigger their fears and anxieties. Virtual Reality Hypnotherapy can provide a safe way for you to “practice” and train your mind to respond to your anxiety triggers in a more constructive manner. Through Virtual Reality hypnosis, your hypnotherapist can offer a safe simulation of your phobia, reproducing a scenario or exposure to an object that triggers your negative reaction. Here is a popular example: public speaking. A virtual reality hypnotherapy session can simulate the environment of standing on stage or in front of a crowd, upon which the patient must deliver a presentation or speech. The hypnotherapist can observe the patient’s behavior and mannerisms, determining the best way to force a positive change. Does Hypnotherapy with Virtual Reality (VR) Work? As a way to treat disorders, health problems, as well as negative habits and behaviors, hypnotherapy can be a powerful way to enter the subconscious part of the mind. This therapeutic approach uses the power of suggestion to plant positive ideas in the mind, which in turn help to trigger change. Although hypnosis is powerful in its own right, virtual reality still helps by making the hypnosis experience more vivid in the memory of a patient. Besides offering simulated environments, virtual reality can also be a powerful form of counseling. For example, a person trying to stop his binge eating habits, or kick his smoking addiction can turn to hypnotherapy offered through virtual reality. By wearing a virtual reality headset, that person can immerse himself in a world of relaxing visual effects and soothing sounds, all of which are designed to relax him and become more receptive to positive suggestions. The goal is to use virtual reality as a tool to change the part of their personality craving for the addiction, using positive suggestion and stimulating imagery to make positive changes. This same exact approach happens in any hypnotherapy session, only without the added “dose” of a virtual reality environment. In other words, when used for counseling, virtual reality is a way to supplement the therapeutic process. Is Virtual Reality Hypnosis for Me? Ultimately, the only way to really know if hypnotherapy with virtual reality will work for you or not is to try it. Different people respond to hypnosis in different ways, and some people do not find it to their liking at all. If you have tried the virtual reality experience, and found it to be highly immersive, Virtual Reality Hypnosis could very well generate positive results for you. For others, however, the virtual reality experience may not be enough to induce a state of hypnosis—in fact, the experience might even be jarring. This is especially true for sufferers of severe phobias like agoraphobia; they may need a combination of personalized behavioral therapies and medication to address their anxieties. However, this much is clear: the act of hypnotizing a person, or putting that individual in a state of deep relaxation, involves a combination of psychological and physiological inputs. It requires the use of voice, tone, words, and mental imagery, a combination that takes the subject of hypnosis into a deeper state of consciousness—one that goes deeper than the surface layer of the mind, the same part that questions external stimuli. For many people, the combination of tone of voice, deep breathing, and suggestion can be enough to fall into a state of hypnosis. But some may not be receptive to the kind of mental visualization needed to relax and open their mind. Sometimes it could be due to a lack of skill on the part of the hypnotherapist, a weak relationship between hypnotherapist and subject, and other times the subject just needs something more than having to depend on their imagination. As mentioned earlier, different people respond differently to hypnosis. Virtual reality, which is largely sight-based, enhances the level of immersion during a hypnotherapy session. In other words, if you are having problems with your imagination and concentration, a VR environment, with its imagery, sound, and sensation, can enhance the effectiveness of the words and tone of voice used by a hypnotherapist. Is Virtual Reality (VR) Hypnotherapy Safe? As is always the case before trying any form of therapy to treat issues such as weight loss, binge eating, lack of focus, depression, anxiety, and low self-esteem among others, it is imperative that you seek the advice of your primary physician before turning to alternative forms of treatment. Hypnotherapy is largely safe. Hypnosis itself is nothing new, and neither is it a frowned upon form of therapy, having been approved by the American Medical Association in 1958. The process of putting people into a deep state of relaxation to make them more receptive to positive suggestion is about as gentle as any meditative technique. With its focus on clearing the mind and proper breathing, hypnotherapy is not something to be afraid of. The exact science might be a little murky, but numerous studies point to the power and potential of hypnosis as a form of therapy. With Virtual Reality Hypnotherapy, the introduction of external stimuli and virtual reality technology is not guaranteed to work for everyone. If you have tried to use a virtual reality headset at some point, only to have felt nauseous or dizzy, this approach might not be for you. For best results, be sure to consult your doctor before engaging in a Virtual Reality for Hypnotherapy session. Once done, you can then sit down for a discussion with Dr. Steve G. Jones, who can assess how hypnosis can help and whether you are an ideal candidate for a Virtual Reality for Hypnosis session. 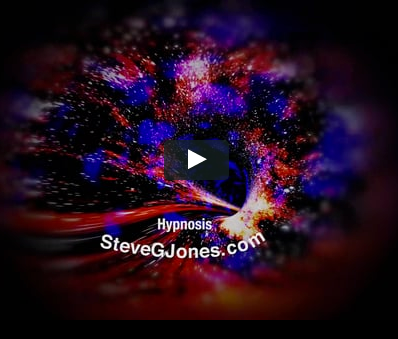 Dr. Steve G. Jones, Ed.D is a pioneer in the study and practice of Virtual Reality Hypnosis, having created a wide range of hypnotherapy videos designed to turn his hypnosis sessions into full virtual reality experiences. 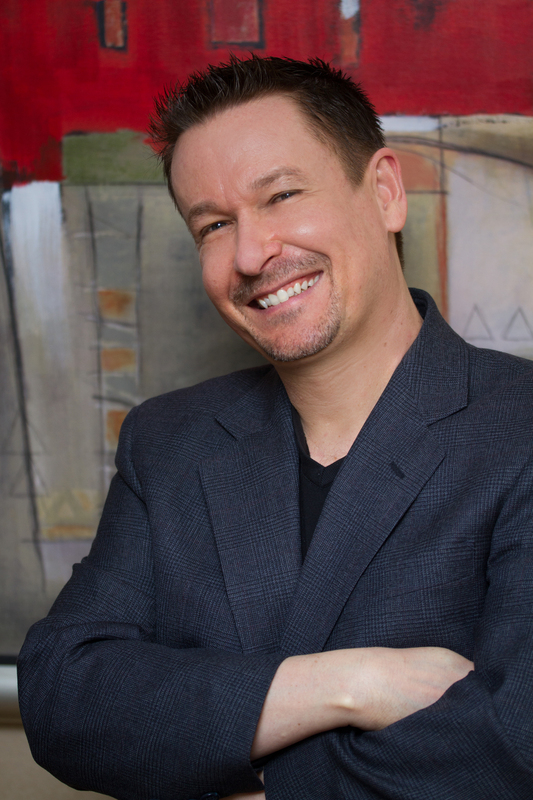 Dr. Steve G. Jones is one of the country’s leading minds in hypnotherapy, practicing since the 1980s. He is the author of more than 22 books on hypnosis and hypnotherapy, is an esteemed member of the National Guild of Hypnotists and American Board of Hypnotherapy, and is the President of the American Alliance of Hypnotists. Dr. Steve G. Jones is also a former member of the board of directors of the Los Angeles chapter of the American Lung Association. He first began his studies at the University of Florida in the 1980s, with research focused on cognitive psychology and learning. Many of his studies were subsequently published in psychology journals, all while he began practicing hypnotherapy outside of the academe. From the early to mid 1990s, Dr. Steve began counseling individuals and families. At this time, he also completed his bachelor’s degree in psychology at the University of Florida, pursuing to graduate studies in counseling. Dr. Steve has a bachelor’s degree in psychology from the University of Florida (1994), a master’s degree in education from Armstrong Atlantic State University (2007), and completed a doctorate in education, Ed.D., at Georgia Southern University (2013). In the field of hypnotherapy, Dr. Steve sees clients seeking help for a broad range of conditions. His specialty includes hypnotherapy for fears and anxiety, weight loss, smoking cessation, studying and test taking, nail biting and other compulsions, anger management, general wellness, pain control before surgery and dental operations, and natural childbirth among many others. Dr. Steve Jones is also a prominent figure in the motivational speakers’ circuit, with businesses calling upon his services to motivate sales teams and to improve their sales performance. Any smartphone: Android, iPhone, etc. At the bottom of the page, you will find answers to frequently asked questions about this new technology. 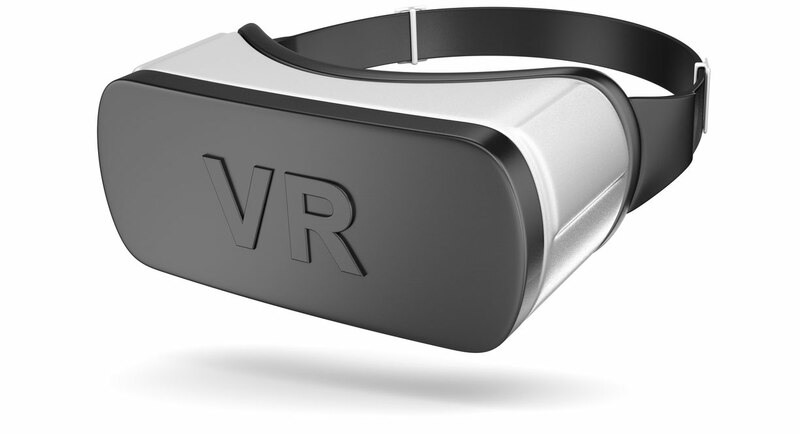 The free virtual reality hypnosis videos on this page are 12 minute samples. Please watch them in a virtual realty viewer, following the instructions by Dr. Jones int he above video. If you would like to purchase the full one-hour versions, you may do so below each sample video. After your purchase, you will have the option to watch the full one-hour hypnosis sessions and/or download them to your computer and/or smartphone . After you place your order, you will be taken to a page that gives viewing instructions and allows you to download and watch the video(s). Enjoy these 12-minute virtual reality hypnosis samples on your smartphone, using your virtual reality viewer. If you would like to purchase access to the full 60-minute version, click the Buy Now button below the sample(s) you want.